Last year I've blogged about the CPU usage by the various modern browser on my laptop. The battle took place with the criteria of running a song on Youtube using flash. The winner was Internet explorer. I personally do not like this browser but somehow it managed to win the battle just in terms of CPU usage . If i compare it on several other criteria i am damn sure it will fall down dramatically. I am a great fan of Google chrome in terms of it's fast start up time, page load time , useful shortcuts etc. There is one great drawback in chrome, i don't know if you have noticed it. If you run chrome for long time specially using flash it will choke your system and make it too slow. This particular problem took me away from chrome to Mozilla firefox and i am completely satisfied with mozilla's performance. Definitely firefox uses lot of CPU but when you compare the consolidated CPU usage (multiple tab) with chrome, firefox runs really well. However, you need to compromise a little with the performance of Firefox but i am too much satisfied with the fact that it is not sucking the memory like monster chrome. Moreover to that I've noticed it's really useful Add-ons. Chrome does have the same kind of Add-ons which they call "extensions". but as i am promoting firefox here i must list down some of its very cool Add-on which i personally found ultimately useful. 1. Adblock - These days information on the web doesn't come alone (Except Wikipedia). They are always escorted by the annoying and disgusting advertisements. So how to get rid of them.. Here is the beautiful solution named Adblock. This Add-on even has the customization option to let you choose the site on which you want to see ad and where you want to block them along with the kind of ad (Text, flash etc). 2. IE tab -This is very useful add-on for accessing sites developed considering Internet explorer rendering engine (e.g. Microsoft web-outlook). User interface of Microsoft exchange server is not impressive in any browser except Internet explorer. This add-on use the Internet explorer rendering engine and give you the exact same result in firefox. So you are completely free from using Internet explorer. (I have no idea whether this will work on any other OS except windows coz they don't have IE). 3. Xmarks sync - Most of the time we access web and bookmark the interesting web addresses. But when you use several computers and several browsers you may end up in searching the same information again, syncing the bookmarks from other browser or emailing it to your own email-id. So how do we keep all our bookmarks even passwords synced across all the browsers and all over the places we use Internet. X-marks let you save your bookmarks on their server and you can sync your bookmarks anywhere using Internet. Most importantly it is available for all browser supporting the add-on feature. 4. Readability - We read lot of information on the Internet. We also get the clutter of non required item around the readable text. This is very useful add-on for user reading articles, news over the Internet. This add-on extracts the text and required images in one screen and give you exactly in what your are interested. This was one of the best feature of Safari browser but now i can use this in Mozilla also. hurray..
5. Cybersearch - I am damn sure that everyone likes the very innovative feature of Google chrome, it's capability to give you the instant result of web addresses while typing the desired web address and searching from same address bar. 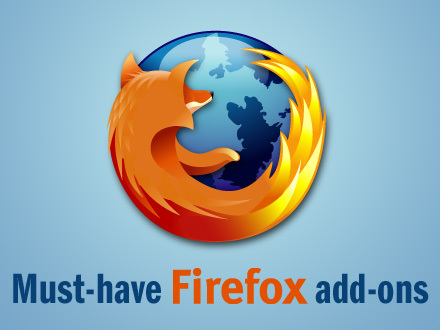 Believe me you are not going to miss it while using firefox. All your needs will be fulfilled by Cyber search. 6. Facebook photozoom - This one is dedicated to all the facebook fans out there. I like to see the changed profile pic but i do not want to go to the album, i want to see the added photo but for this i don't want to go to album unless the commenting is required. So what should i do. Use this ultimate productive add-on. It will give you the whole picture on the fly. Only you need to keep your mouse on the photo. Amazing isn't it. There are several amazing and productive add-ons in the store and all of them are useful in different perspective. I use the above listed one a lot and so wanted to share with you all. Hope you have found this an interesting and definitely useful. If you want to share some other add-on which you have used and are useful don't forget to mention it in the comment section below.